Many people are aware of the potential benefits surrounding laser eye surgery, but are understandably hesitant about making the decision to go ahead with the procedure, for any number of reasons. Affordability is often an issue and then there are the perceived risk factors and quite simple, the unknown factor. 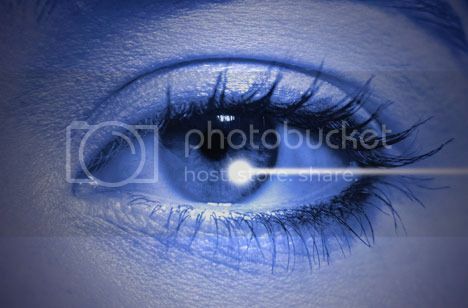 Here is a look at the information you should consider regarding laser eye surgery, so that you can make an informed and confident decision based on a good understanding of exactly what is involved. Many of us will suffer a problem with our vision at some point in our lives and one of the most common age-related issues is cataracts. The condition known as cataracts, causes a clouding of the lens in the part of the eye that is used to help provide sufficient light on the retina in order to form an image. As we get older, the lens can become yellow and cloudy, which then means that the light has difficulty passing through to the retina, causing blurred vision. Cataract surgery is generally available on the NHS and involves making a small incision in the cornea, which is the surface at the front of your eye, and then breaking up the cataract using high-frequency ultrasound. You should be aware that the NHS only funds monofocal lenses, which means that if they fix your distance sight problems, you will still need to wear glasses for close-up vision and reading. You can find a private surgery to provide Multifocal lenses through a resource such as www.lasereyesurgeryhub.co.uk and the cost is likely to be in the region of £3,000 or above. Another common problem is myopia, which is short-sightedness. This issue normally occurs as a result of your cornea becoming too curved or if the eyeball is too long. A myopic eye is the term used to describe the light’s inability to reach the retina, giving you blurred distance vision. You may want to consider having LASEK surgery to correct this problem, which involves the use of a laser to reshape the cornea without the need to make an incision with a blade. Laser surgery is also used to deal with long-sightedness and intra LASIK surgery involves cutting into your eye in order to be able to reshape the cornea and correct your vision. Laser eye surgery can provide an excellent solution to your vision problems and there are often financed deals available if you go privately and need to spread the cost of the surgery. The main thing is to discuss all of your options and concerns with the surgeon and make sure you are completely comfortable with the answers you are given and feel confident about proceeding with the surgery. Do not be afraid to pertinent questions such as what the surgeon’s qualifications are, how many procedures they have completed on an annual basis and what their success rate is. You should ideally be looking for a surgeon who completes at least 500 procedures each year and no less than 75% of cases should result in 20/20 vision being successfully accomplished for the patient. Making the decision to have the eye surgery, you need, is considerably easier once you have all the facts and have the confidence that your surgeon can give you the best possible chance of correcting your vision problems. Edward Harrison works as a lab technician for an optician. He likes to share his experiences online. You can find his posts on many lifestyle and tech sites. sleepSEE is now almost a popular and trustworthy nonsurgical way to correct vision. It has the great technical advancement to do so. It’s highly effective and provides with very satisfactory outcome as well.